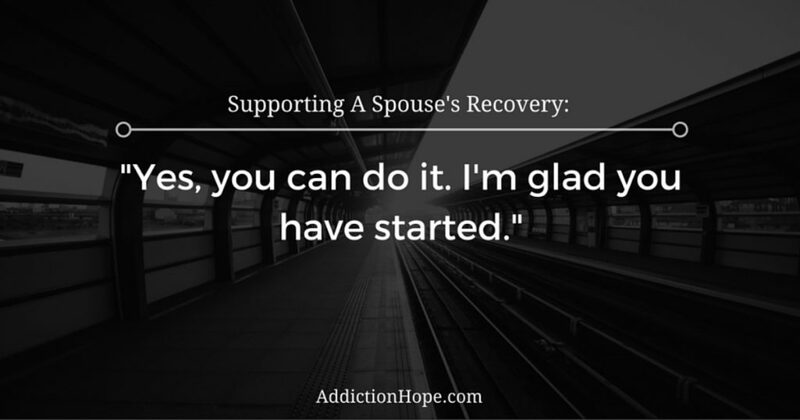 How Can I Support A Spouse With Mental Illness And Substance Abuse? This entry was posted in Mental Health, Substance Abuse and tagged Co-Occurring Disorder, Preventing Misuse, Recovery, Support on June 14, 2016 by Baxter Ekern. When your loved one is struggling with mental illness and substance abuse, it is quite likely that you are overwhelmed and not sure what to do! Take a deep breath, let everything slow down for a moment, and then consider the following points. As you consider them, refrain from judging yourself or your loved one and acknowledge that you have been doing the best you could, given what you knew before. Hopefully, by the time you have read through this, you will know more and be able to help yourself and support a loved one sufficiently. However, we need to be honest about our emotions and our needs within relationships – particularly when we are under stress. We can become resentful, withdrawn or overly dependent when we allow another to dominate the emotional tone. If your loved one is struggling with mental illness and substance abuse, you will likely have emotions of sadness, hurt feelings and anger. You also need a break, stability and to know you are cared for, too. No one can care well for another if they are not looking after themselves. This follows on from the previous point: While a loved one may seem dependent and out of control, it is important not to take on their behavior as your own responsibility – or shame! You may be connected financially or in other practical ways, yet the ownership of the concerns and the necessity for recovery should be kept with the struggler. It is not helpful to take responsibility and cover up, protect or enable a loved one. This will only make the struggler’s situation worse, and it rarely earns the love, care or affirmation that the provider longs for. Furthermore, it is worth remembering that you are not responsible for the use of a substance by another. They have chosen to use it. Do not let them blame you. Rather, acknowledge their responsibility. This is a loving position to take because you are not allowing them to stay in denial. Rather, acknowledge their responsibility. This is a loving position to take because you are not allowing them to stay in denial. Building boundaries is a crucial step. This effectively means knowing where you and the other person begin and end, and what is expected between them and you – and how that will be enforced. You cannot help a loved one if your identities or behaviors merge together, or if they are allowed to treat you or manipulate you however they see fit. It is likely they are in no state to create boundaries that they need, so you must. Often as boundaries are clearly defined, denial and harmful behaviors become more evident. You need to establish what you believe and think about rules, values and situations, and then hold the person to them. This may mean ending discussions, refusing to help, or establishing “if-then” agreements with the loved one. For example, “If you continue recovery, then we can start to rebuild our relationship”. Your position needs to be communicated and held firmly! Recovery and mental illness are hard work! Your loved one will have emotions (even if unnoticed) and stressors that are painful to deal with. A big piece of supporting them is acknowledging that it makes sense for them to be struggling, and that they did the best they could to deal with life. Allow them to express their experience – even if you don’t necessarily agree with it. To withstand the stress of supporting loved ones, it is critical that you know who you are, what you enjoy and what your goals in life are. If you have trouble with boundaries, this is even more important. Write a list of what you enjoy, do, believe and want to be. Flesh this out and look to explore yourself. As you grow, this will be seen by the loved one and likely become very appealing to them. Children deserve honesty and protection as appropriate for their ages. This may be a process of having short conversations with an open invitation for questions. Furthermore, this may require physical distance, monitoring or other creative steps to keep children safe and secure. What has been your experience with supporting a loved one struggling with mental illness and substance abuse, and what tools have you utilized to remain healthy yourself? About the author: Written by Paul Loosemore, MA PLPC. 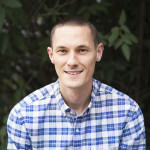 Paul works as a mental health counselor, and consults with those who wish to recover from sexual addiction. He is the founder of www.stopsexualaddiction.com.